This is an illuminating tale following three generations of Filipina women as they flee the Philippines and make their way in suburban California. Author Elaine Castillo delivers a powerful and relevant novel about the promise of the American dream, and the power of the past. This is an exciting new young adult fantasy. When she was six, Theodosia’s country was invaded, and her mother, the Fire Queen, was murdered. She was later crowned Ash Princess as a title of shame, denoting her status as a prisoner. But, after ten years of being held captive, Theo realizes that surviving is no longer enough. She must reclaim her throne. Ashley Woodfolk’s debut novel is an innovative, heartfelt story of three teens and how they cope with death and loss in the social media age. As their paths begin to intertwine, they find that they’re all looking for the same thing: closure. Each alternating perspective of these teens shows how large a role social media plays in our lives—and deaths. Over the course of her life, told through a collage of small moments, we follow Leda as she attempts to carve out a life of meaning. Through her life experiences, she comes to the universal revelation that the best-laid plans are not always the path to fulfillment and content. In fact, there may be no such thing. Both funny and heartbreaking, this narrative is truly feminist in its insistence that the story it tells is an essential one. After her mother is shot at a checkpoint, fifteen-year-old Jewish, blonde, and blue-eyed Sarah finds herself on the run until she meets a mysterious man who recruits her to join his spy mission to infiltrate an elite female Nazi boarding school. This nail-biting young adult audiobook will have you on the edge of your seat. Once a book-loving English major, Casey lands a job at a top ad agency that highly values her ability to tell a good story. Her best friend thinks she’s a sellout, but Casey tells herself that she’s just paying the bills. Casey’s hilarious ups and downs make this a delightful listen about a young woman trying to navigate a twenty-first-century career—and the trickier question of who she wants to be. Detective Chief Superintendent Frankie Sheehan would be more than happy to declare Eleanor Costello’s death a suicide. But the autopsy reveals several old injuries absent from medical records, and Eleanor’s husband is missing. As the investigation grows, another woman is found murdered. Engrossing and complex, this audiobook will leave you breathless. In post-WWII Trenton, New Jersey, a woman kills her husband in a domestic brawl and assumes his identity. She begins a new life as Abe Kunstler, even finding a wife in Inez. But, Abe really wants a son to complete his transformation. A vivid, brutal, razor-sharp debut, this is a story about a woman who carves out her share of the American Dream by living as a man. When one of Daniel Abend’s patients commits suicide, he receives an ominous note with a series of clues that makes him question the circumstances. When his daughter abruptly disappears thereafter, Daniel is swept into a desperate search for his daughter that leads to the secrets of his past. 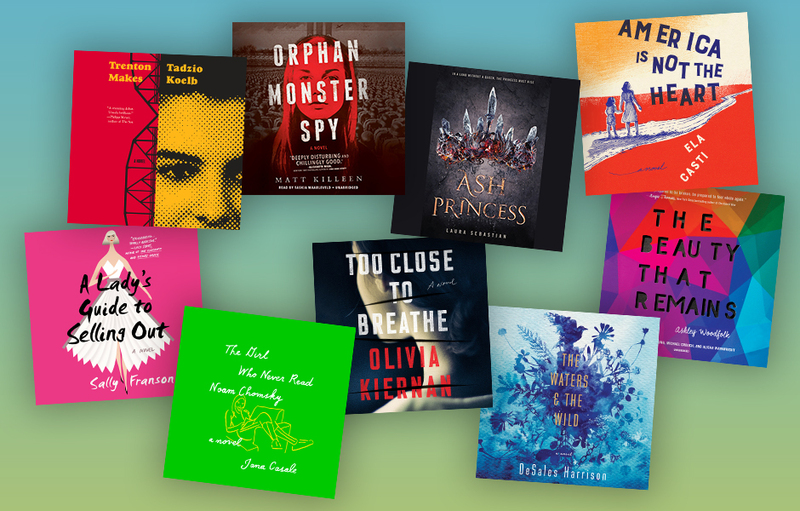 Check out some other recent debut audiobooks to listen to!